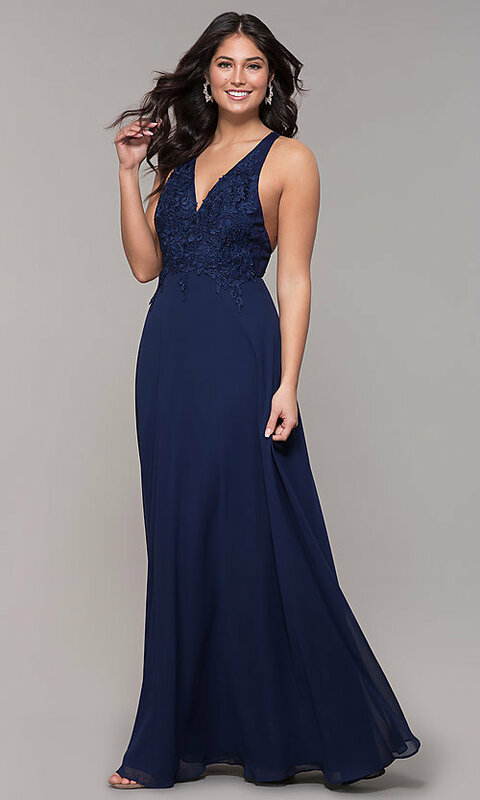 Look stunning at prom 2019 or another formal event in this long open-back evening dress with embroidered lace appliques. The long formal dress boasts a beautiful v-neck bodice adorned with delicate embroidered-lace appliques. The v-neckline is supported by thin spaghetti straps that climb the shoulders before criss-crossing over the open back and adjusting for a secure fit. A soft comfortable jersey lining provides support and coverage to the long open-back evening dress. 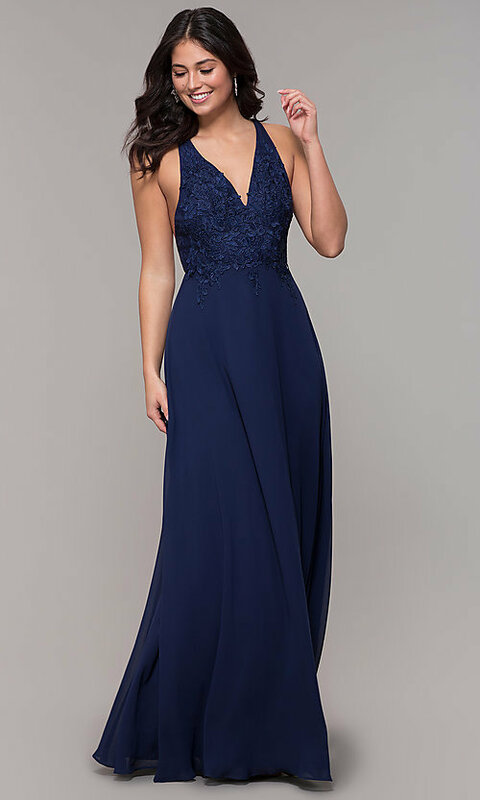 Priced under $150, this chiffon formal evening dress is flowing with budget-friendly style.